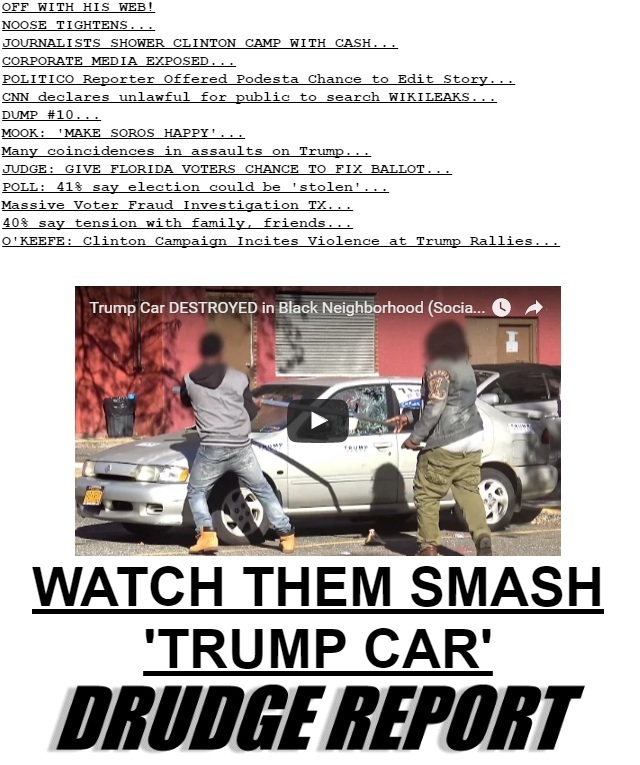 Viral video showing "thugs" destroy a "Trump car" left in a black neighborhood has been exposed as a hoax. The video is currently on the top of Drudge and has amassed almost a million views in under 24 hours. 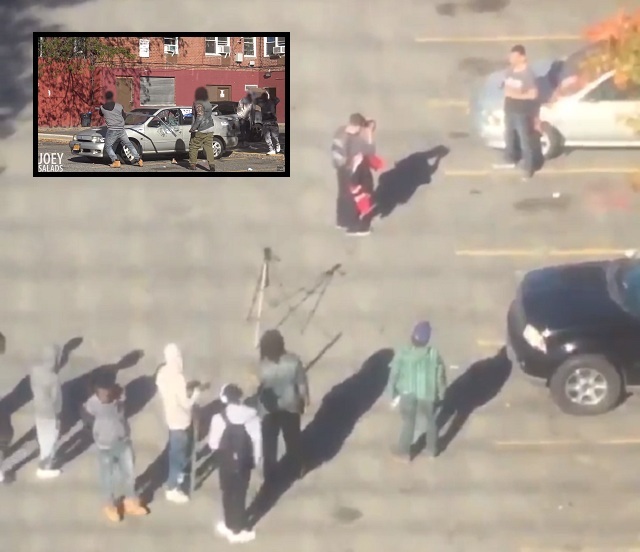 A witness filmed the scene from a secondary vantage point showing the "thugs" who destroyed his car were standing off to the side behind the camera as Salads appears to be recording the introduction to the video. "Social experiment" YouTubers are almost all con-artists. While I have no doubt if someone left a car filled with Trump signs in a ghetto black neighborhood it would get vandalized, Salads clearly was too lazy to actually wait around for such a scenario to occur, so he simply paid some idiots to destroy the car for him. What's sad about this is James O'Keefe's real hidden camera video which took a year to produce and shows Democrat operatives admitting they fomented violence at Trump rallies is being relegated to a text link, meanwhile this hoax which took a scam-artist a few hours to make is being given top slot.